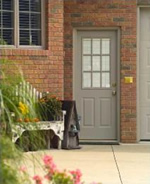 Omaha Door & Window Company has an outstanding selection of entry doors to choose from. You can select from ProVia Door and Jeld-wen® Entrance Doors to find a quality entry door at a competitive price. 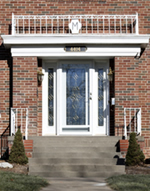 We also have Specialty Glass Products and ODL Handcrafted Glass to offer a wide choice of decorative glass inserts to customize your entry door. Omaha Door & Window offers installation, remodeling and removal of old doors by our experienced installers. Let our professional sales staff answer any questions you may have and help you select the perfect entry door for your home. ProVia Door has been making a complete line of quality steel entry doors, fiberglass entry doors, sidelites, and patio doors since 1977. Their entry door systems include a wide selection of sidelites and transoms that are available in clear or decorative glass, and offer a total of 24 different paint colors and finishes. Why Buy a ProVia Door System? Beauty – You never get a second chance to make a good first impression. A beautiful ProVia Door System will always greet your guest with classic elegance and style! Durability – ProVia Door takes pride in delivering entry systems of top quality construction, made with the finest materials, and backed by a Lifetime Limited Transferable Warranty. Security – At ProVia Door, your security and safety is their concern. That’s why they’ve reinforced their lock and deadbolt areas with commercial gauge steel. The 20-gauge steel security plate ensures you a level of security not found on other residential doors. The elegant Heritage™ Fiberglass Door is available in a wide variety of embossed and flush designs. Sidelites and patio doors are also available in the Fiberglass program to meet your entryway needs. 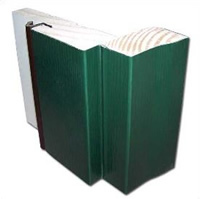 This product features enhanced wood grain texture, improved definition embossing, and a superior oak edge design to prevent warping. The Smooth Steel Doors are available in 20 and 24-gauge steel in a wide variety of embossed and flush designs. Sidelites and patio doors are also available in our Smooth Steel program to meet your entryway needs. ProVia Door offers a wide variety of glass styles ranging from clear glass to 15 collections of decorative glass to accent any entryway. Protects better than paint which can crack or blister, leaving the door frame susceptible to warping and rotting. This option may be added to any full-wood-frame ProVia Door unit. 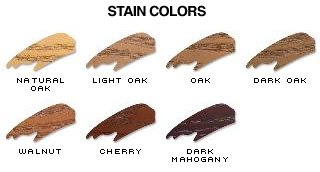 The vinyl coated aluminum is easy to clean and eliminates the need for scraping and repainting the wood frame. Year after year, the clad frame looks beautiful because it’s durable, weather resistant, and comes in your choice of fifteen versatile colors. Pre-fit cladding is pre-measured at the factory, which guarantees a clean, precise, protective fit. 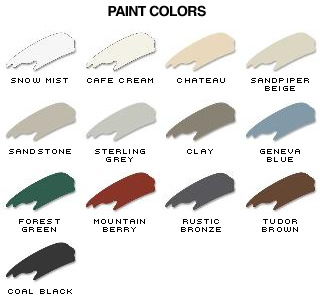 The inside door frame is painted to match the inside color of your door for a clean, finished appearance. Like a fine piece of jewelry, ProVia’s hardware and accessories enhance the beauty of their entry systems. 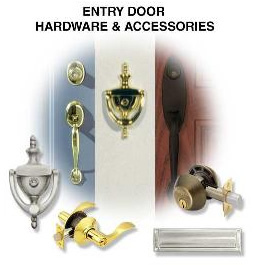 Choose from a wide selection to complete the perfect entry system for your home. ProVia now offers a Retractable Screen System for those applications when you don’t want the visual interruption of a conventional screen door. This unit provides ventilation without obstructing your viewing area. 10-Year Limited Warranty on all parts (except screen mesh). JELD-WEN® Steel Exterior Doors are created to consistently resist rust and corrosion. These low-maintenance doors are available with optional steel edges for greater security and fire ratings up to 90 minutes. Every collection includes door designs with coordinating sidelights for added visual appeal. Steel Thickness – 25 gauge, galvanized, coated both sides. Finger-jointed Wood Stiles and Top Rails, Steel Bottom Rail. Light Inserts with High Performance frame. 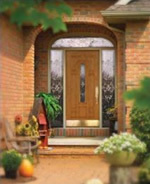 The Most Advanced, High-Quality Fiberglass Door on the Market Today! Jeld-wen® Fiberglass Exterior Doors reflect the beauty of wood and are easy to maintain in any climate—hot or cold, wet or dry. Unique Engineering Results in a Door that is Built to Last a Lifetime. Full-length composite stiles provide complete waterproofing for the door’s insulation, an exclusive to the Jeld-wen® Fiberglass door. These stiles will not splinter like wood or delaminate like steel. The high-strength engineered composite bottom rail prevents moisture from seeping into the door. This rail also allows the Jeld-wen® Fiberglass door to accommodate a large range of snap-on door bottoms. Environmentally sound polyurethane foam core door is completely CFC-free to conform with U.S. environmental standards. Advanced polyurethane core provides superior thermal performance and enhances the door’s soundproofing. Deep-profile compression molded fiberglass skins create stronger dimension, enriching the door’s curb appeal. The dent resistant skin has a superior durability over conventional steel skins. Limited Lifetime Warranty on Jeld-wen® Fiberglass wood grain doors and a 25-year warranty on smooth skin doors.